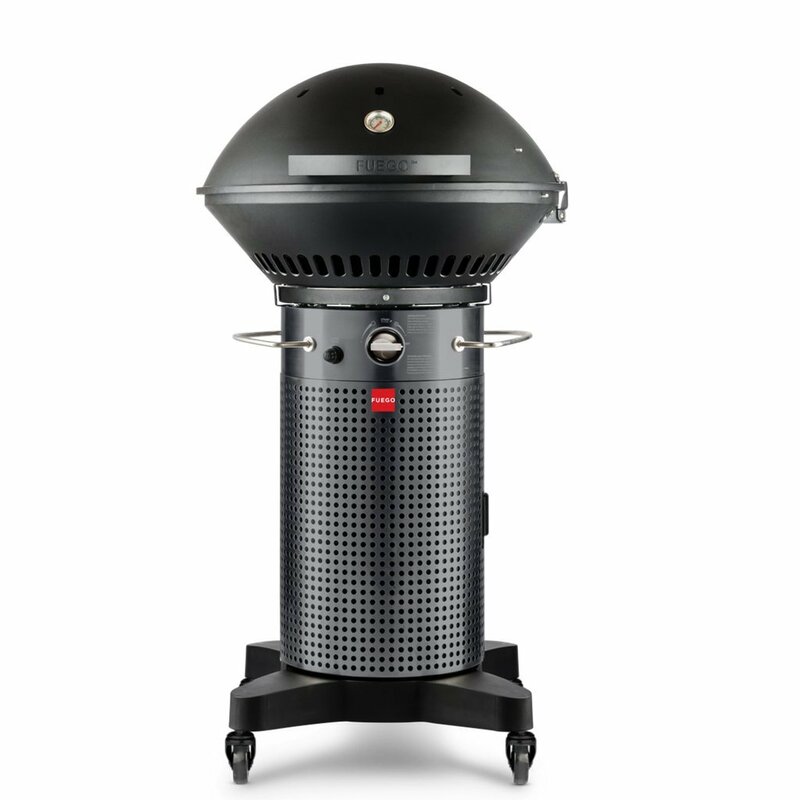 One of the standout features of a Fuego gas grill is its R2-D2-ish design. This unique style is the brainchild of former Apple Chief Designer Robert Brunner. In one of our posts, we gave you a report on the Fuego Element F21C, and based on consumer feedback and recommendation, this gas grill is best for a single or dual-person household with limited patio or balcony space. Now, it’s time to compare the F21C against another Fuego gas grill, the F24C. What areas do these products differ in? Which one should you get? Let’s help you find these answers in this Fuego F21C vs F24C comparison report. (surface area) 346 sq. in. 415 sq. in. Warming Surface Area ❌ 110 sq. in. Footprint Surface Area 441 sq. in. 576 sq. in. Before we talk about the key differences between these two gas grills, let’s briefly mention their key similarities. One, they’re both designed to have a heat-up time that’s faster than the average grill. It takes only 5 minutes to reach 500 degrees Fahrenheit. Fuego asks: Why win the BTU war when “Time to Temperature” is what really matters? Both the Element and Professional have a cleverly engineered dual burner system that minimizes fuel consumption and at the same time allowing your food to maintain more moisture. Second, both these Fuego grills have a dual ring burner paired with a cast iron grate. This dual-zone capability allows you to enjoy the benefits of low-and-slow cooking with indirect heat (Zone 1) and a searing with direct heat (Zone 2). Now, let’s focus on their differences. According to Fuego, the Professional is based upon the Fuego Element with some added user-friendly features. What does this mean? One, the Fuego Professional is larger and taller than the Element. It stands 56 inches tall, which is 10 inches more or taller than the Fuego Element F21C, which stands 46 inches. When it comes to width, the Professional has a width of 24 inches. In comparison, the Element’s width is 21 inches. Second, the Fuego Professional has a larger cooking area – 415 square inches for the main or primary area, and 110 square inches for its warming surface area. Not only is the Element’s cooking area smaller, measuring 346 square inches, but also, it doesn’t come with a warming area/rack. Overall, the Fuego F24C has a bigger footprint surface area, calculated to be 576 square inches. In comparison, the F21C has 441 square inches. Another major improvement done on the F21C as reflected in the Fuego Professional F24C is its “hinged 45-degree lid” feature. With the Element, you hook the lid into one of the side handles of the unit. Doing this gives the grill a quasi-hood, which can be useful especially in windy conditions. With the Professional, however, this design has improved to include hood hinges at a 45-degree angle. This automatically transforms the lid into a hood, and also, expect a warming rack or secondary cooking area that comes with this upgrade. 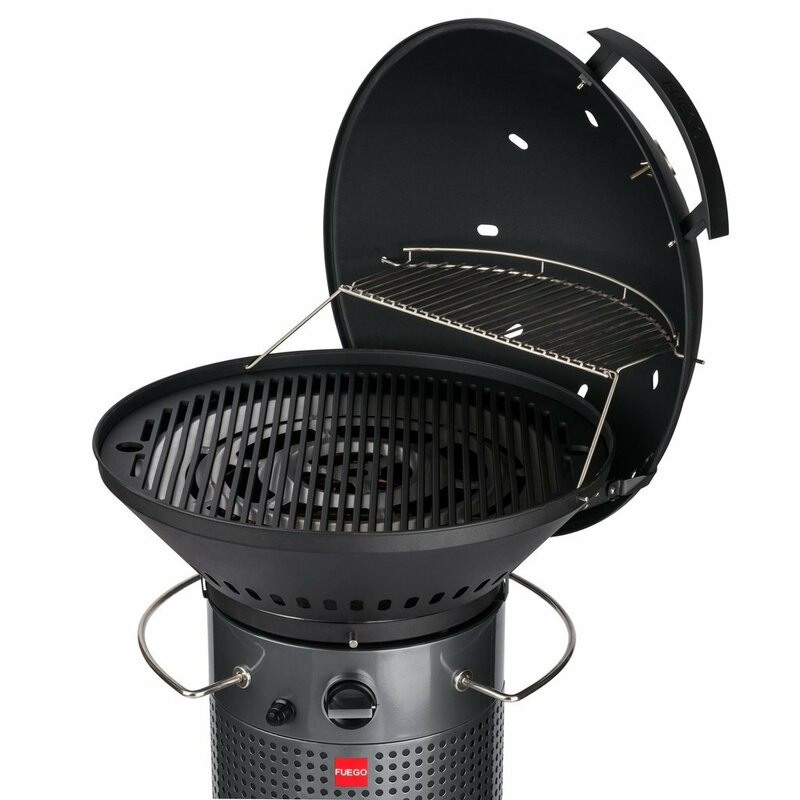 Both of these Fuego gas grills come with a dual-burner system, but the F24C has a larger BTU/hr rate than the F21C. Based on data we’ve gathered, the Element has a BTU/hr of 21,000 while the Professional has a 26,500 BTU/hr rating. 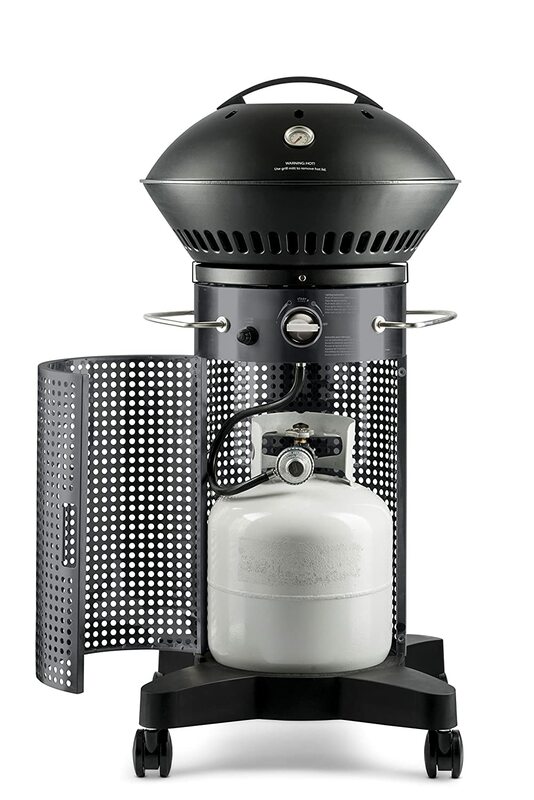 For a primer on BTU/hr on gas grills, read this article. 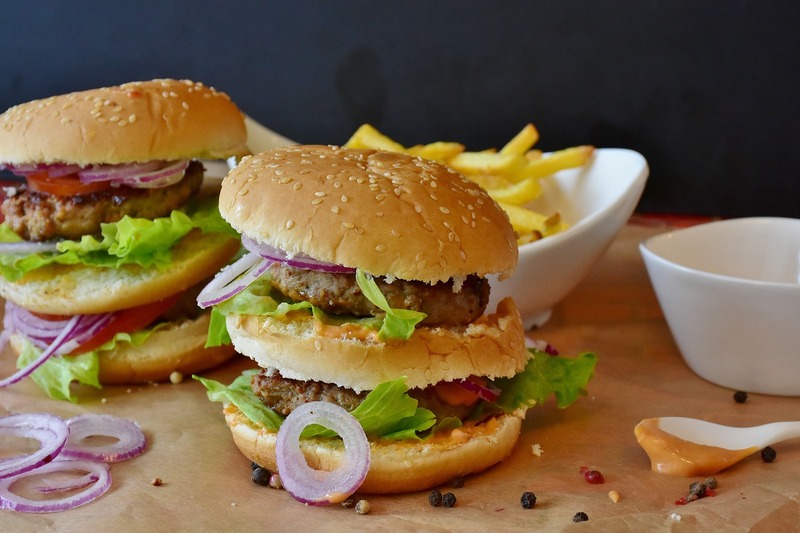 Which of these Fuego gas grills is for you? Let’s end this Fuego F21C vs F24C comparison report with our recommendation. If budget isn’t a concern, get the Fuego Professional F24C. It has better features.